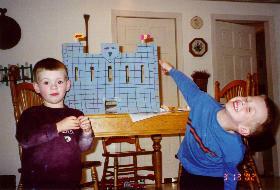 Back in the day, I could make castles out of empty boxes. During a playdate at our house, I sent the boys upstairs and the lone girl to the powder room to change out of their wet bathing suits. It didn’t take long before all three boys were running around naked upstairs, shouting something about pirates. I settled them down and persuaded them to get dressed when suddenly, the girl appeared at my side. I was driving my car when Nicholas and his playdate, Andrea, started copying what I was saying. When Chris, 4, returned from a playdate, he told me his friend had two dogs. Share, share, that’s fair: What are your kids’ Potties in Heaven stories?